Finalist in the Carl Hertzog Book Design Competition for 2009. 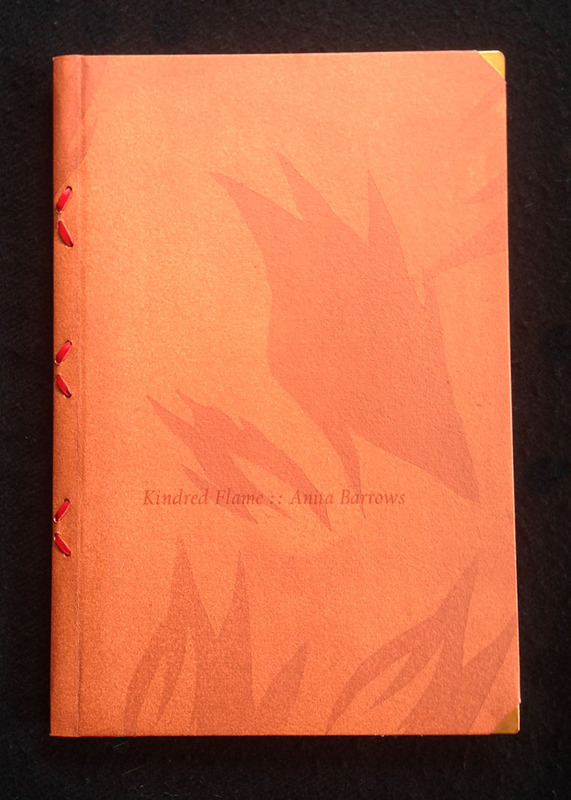 Over ten years have flashed by since I first asked Anita for poems. The Bixlers set them during the first year. I was busy working to finish other books, got side tracked and so on. Life interrupted art, so to speak. 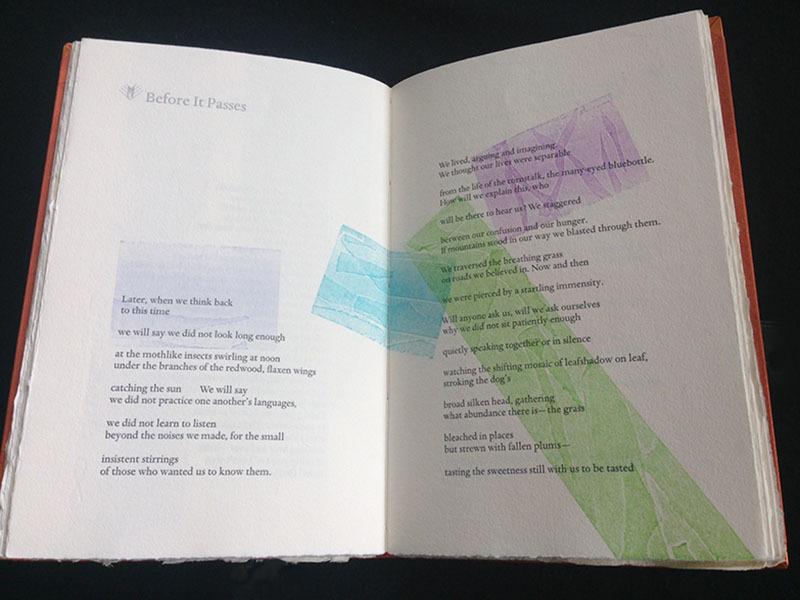 Here’s from the intro: “It was not until Mary Laird set these poems in type and showed me the book they might be that I realized that the central image recurring throughout the collection was flame. As I write this, I am acutely aware of the flames that threaten, in so many forms, to destroy our world. But there is also the searing, purifying energy of flame, which, as it did for Dante climbing the mountain of Purgatory, demands that we challenge our comfort and our fears; and there is the light that exists within all beings and which, in many traditions, is understood to be lit from a single flame. 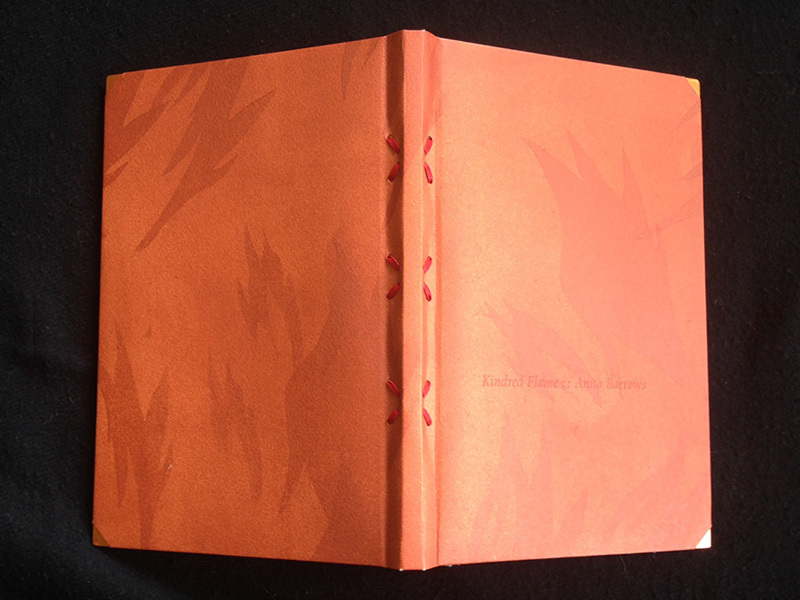 Copper corners, Barcham Green Chatham endpapers and cover papers. Covers lined with Masa, then hand-stenciled on Chatham side. 105 runs in the book. 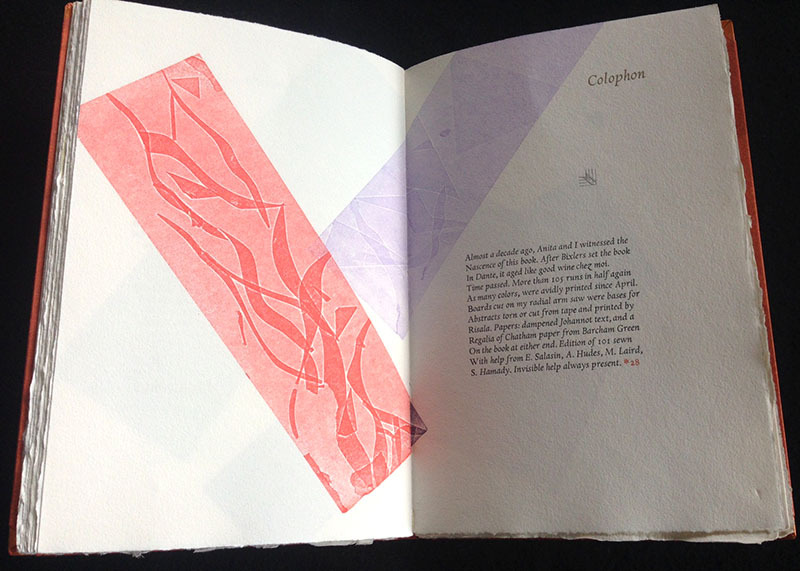 Each page has abstract woodblocks. 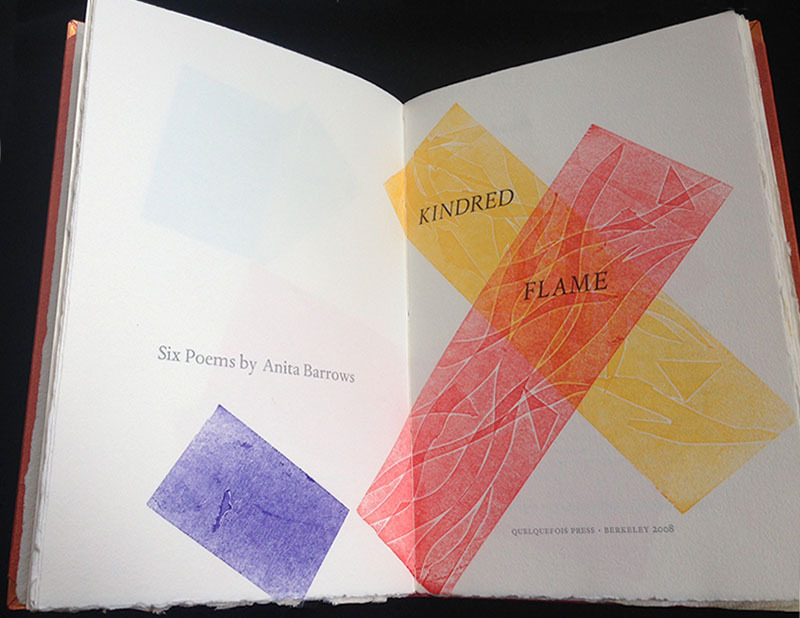 Anita’s poems move from conscious plane to invisible plane and back, spiraling between worlds. Laced binding based on one of Priscilla Spitler’s. I had to deconstruct her book in order to figure it out! Sewn on double cords with red kangaroo laces from Australia. Hand-sewn head bands in red & white linen thread.